Alhamdulillah, last year we did a trip to Uzbekistan and managed to visit maqam Imam Bukhari. 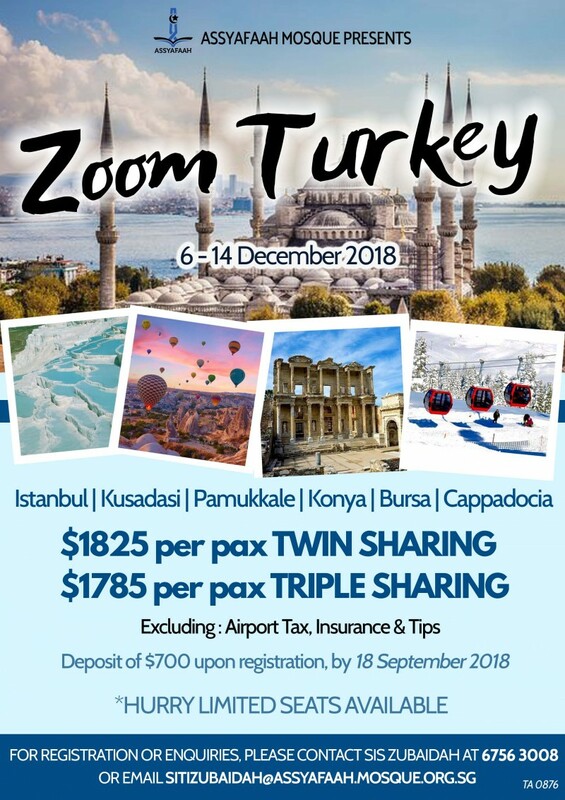 This year, come join us in ZOOM Turkey! 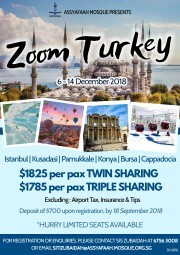 from 6-14 Dec.
We will visit several hot tourist spots in Turkey, and may we reap benefit from this trip insyaAllah. Hurry now as slots are limited!